Often when we go to the dentist, we just need minor procedures like a cleaning or maybe even to get fitted for clear braces. But there are instances when we need something more than a rinse and spit visit. That’s when we visit an oral and maxillofacial surgeon – a dental health care provider that specializes in procedures for oral diseases injuries and defects in the head, neck, jaw and face and hard and soft tissue of the gum and jaw regions. This include major tooth removal or canal work, facial cosmetics or even treatment of certain gum and jaw disorders. In the Chicago area, there are plenty of oral and maxillofacial surgeon, which makes finding one best for you rather difficult. This type of surgical specialty is only practiced by thoroughly trained and educated care providers, so you should always look for one licensed and educated in oral surgery. With this in mind, here are three of the best oral surgeons in Chicago. If you need an urgent dental care in Chicago. click here. Oral & Maxillofacial Surgeons of Chicago offers a full range of oral and maxillofacial major procedures with expertise from corrective jaw surgery to wisdom tooth removal. This office can diagnose and treat maladies such as facial pain and injuries, TMJ disorders, dental implants and even bone grafting procedures. Chicago residents can expect to find among OMSC’s services tooth replacement, oral and facial pathology, cleft and lip palette correction, use of bone morphogenetic protein to stimulate new bone growth in the jaw while using platelet rich plasma during such procedures. They also operate on impacted canines, ridge augmentation in your jaws, and offer a wide variety of minor facial cosmetic services. This in addition to their diagnoses for snoring and sleep apnea means that people in the Chicago area looking for a oral surgeon office that offers a comprehensive range service can visit this business multiple location to address their specific issue. Serving such regions in the Chicago area such as Gold Coast, North Shore and Lincoln Park, Northwestern Oral and Maxillofacial Surgeons offer their patients a wide variety of oral surgery services. These include: wisdom teen removal, bar attachment dentures, jaw surgery, bone grafting, distraction osteogenesis, 3D imaging, dental implants and pre-prosthetic surgery for those receiving oral prosthetic implants at a future date. They often utilize such innovations in oral surgery such as bone morphogenic protein and platelet rich plasma as well as up-to-date treatments for TMJ disorders, facial enhancements, impacted canines, facial trauma and cleft lip and palate correction surgery. Those in the Chicago area looking for oral surgery and maxillofacial offices that use current technology and techniques at a high level of professional skill would be hard pressed to find a superior provider of such services. Dentist: Dr. Steven Koos, DDS; Dr. Jason Schrotenboer, DDS., M.D. ORA Oral Surgery and Implant Studio distinguishes itself from its competitors by being the nation’s first green oral surgery practice – thereby doing their part in promoting Eco-friendly dentistry. This downtown chicago oral and maxillofacial surgery provider offers comfortable surgical dentistry in a relaxed setting. They offer procedures such as tooth replacement and dental implants, wisdom teeth removal, denture stabilization, tooth extraction, abscess treatments, bone augmentation and grafting, lifting of nasal sinuses, ridge preservation in the jaw, sleep apnea and snoring treatments, and their All-on-4 procedure (where they remove four teeth in one visit). But unlike other oral and maxillofacial surgery offices in the Chicago area, ORA practices Eco-friendly methods. These include proper waste and noise reduction, elimination of toxins in their dental materials, how they construct their offices, energy-efficiency practices, office air quality and waste output, and most of all water efficiency. Its measures like these that help them operate as a carbon negative office with as minor a carbon footprint as possible. This is probably why been awarded the “Greenest Business Award” by the Alliance for a Greener South Loop Chicago. That they are able to offer this feature while still giving patients as comprehensive a range of care as possible is truly remarkable. As with all service providers in the Chicago area, location and the types of services provided should be the main factors to keep in consideration. However, you must also make sure that not only does any particular office offer the kind of treatment you require but that they also conduct their business in a manner that might be consistent with your own values and expectation level. Not every Chicago oral surgeon can promise such a level of performance, which is why being as informed as possible is every consumer’s best course of action. Luckily, these three providers meet these expectations with flying colors. 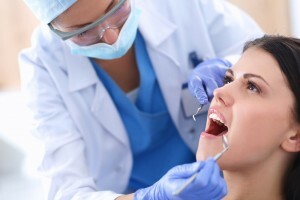 If you want to know more about Sedation Dentistry in Chicago, click here.